Note: Apple currently has two SVPs of hardware engineering. Bob Mansfield announced his retirement in June but will instead stay to work on future products, while reporting to Cook. CUPERTINO, California—August 27, 2012—Apple® today announced that Craig Federighi, Apple’s vice president of Mac Software Engineering, and Dan Riccio, Apple’s vice president of Hardware Engineering, have been promoted to senior vice presidents. 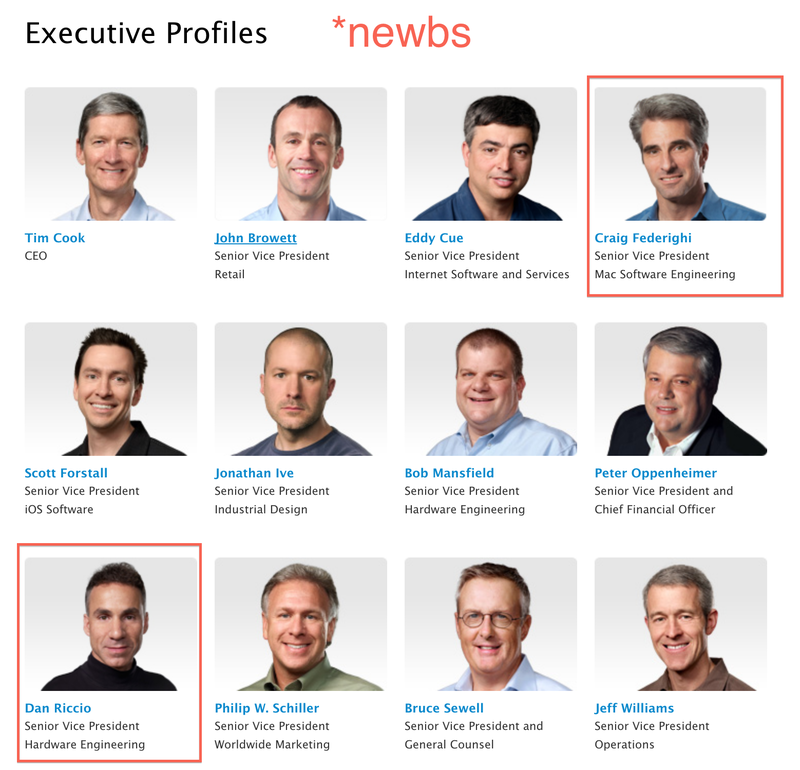 Federighi and Riccio will report to Apple CEO Tim Cook and serve on Apple’s executive management team. As senior vice president of Mac Software Engineering, Federighi will continue to be responsible for the development of Mac OS® X and Apple’s common operating system engineering teams. Federighi worked at NeXT, followed by Apple, and then spent a decade at Ariba where he held several roles including vice president of Internet Services and chief technology officer. He returned to Apple in 2009 to lead Mac OS X engineering. 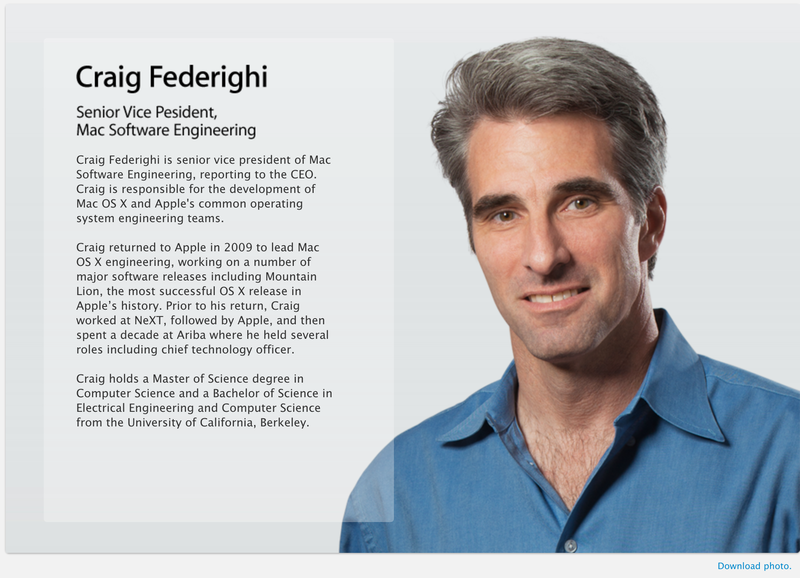 Federighi holds a Master of Science degree in Computer Science and a Bachelor of Science in Electrical Engineering and Computer Science from the University of California, Berkeley. Riccio, as senior vice president of Hardware Engineering, will lead the Mac®, iPhone®, iPad® and iPod® engineering teams. He has been instrumental in all of Apple’s iPad products since the first generation iPad. 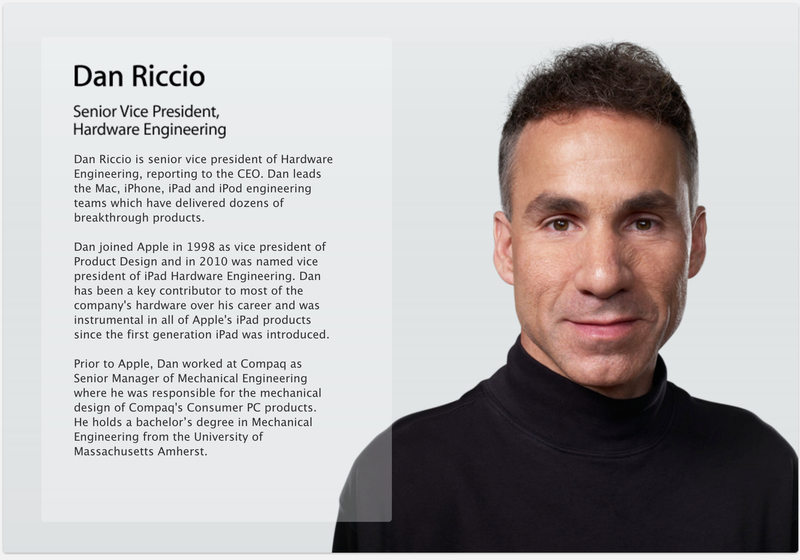 Riccio joined Apple in 1998 as vice president of Product Design and has been a key contributor to most of Apple’s hardware over his career. Dan earned a bachelor’s degree in Mechanical Engineering from the University of Massachusetts Amherst in 1986.